This rim is not compatible with your vehicle. The studs adapted to your car will be included free of charge if your own studs do not fit the rim. 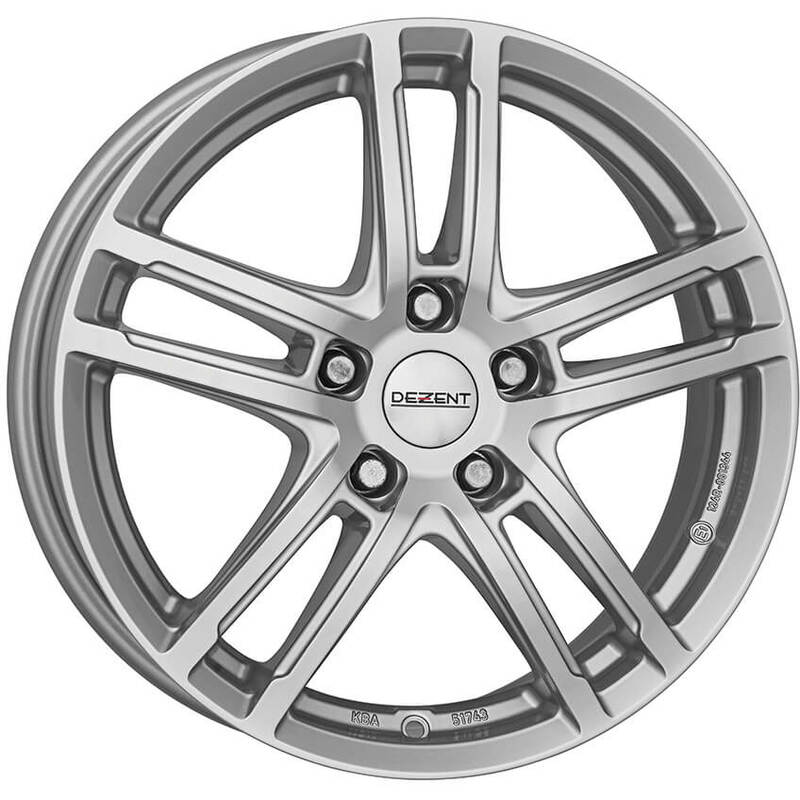 DEZENT's broad product portfolio and fair price policy have helped make alloy wheels affordable for cars of all sizes and classes, as well as an indispensable means for customers to express their individuality through their cars. It is not possible to choose our fitting partners as delivery address for the rims. Every rim is shipped in a single parcel. The screws (or bolts) are included in one of the parcels. On delivery, you must specify how many parcels you receive on the signature terminal and/or on the delivery paper. If you were to change of wheels, would you buy the same ones? **The price of the TPMS valve is not included in the price indicated above (please go to the basket page for the total cost of your wheel). The TPMS (Tyre Pressure Monitoring System) electronic valve is a pressure sensor fitted in your vehicle's pneumatic valve which measures the tyre pressure and sends the data to a receiver that displays the result on the dashboard of your car. Since 1 November 2014, all new vehicles sold must be fitted with a TPMS tyre pressure monitoring system. Some vehicles sold prior to this date have the system fitted already. It is therefore important to check whether your vehicle already has the TPMS tyre pressure monitoring system before ordering.